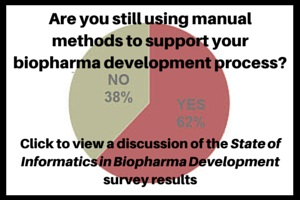 Welcome to Pharmaceutical Manufacturing’s Biopharmaceutical Technical Resource Guide. Once again, we’ve worked diligently to provide our readers with a true magazine, that is, a publication containing the works of many authors, photographs and art, often focused on a particular topic. In this case we’re focusing on biopharmaceuticals and delivering insight from some of the industry’s top players and opinion leaders as well as a few deep dives into technologies sure to support quality and operational efficiency. What’s thrilling, though, is how exciting the Biopharma industry has become. The last couple of years have been an extremely dynamic period for the category as it breaks from its past and embraces its future as the new face of Big Pharma. A scan of the features within should help confirm my thesis, as should the strategies and tactics myriad biopharmaceutical companies are employing right now to bring their molecules to market. Amgen’s recent announcement outlining the company’s growth strategy and its capital spending plans offers a case in point. Robert A. Bradway, Amgen’s chairman and CEO opened his quarterly results conference call by noting the company will maintain its focus on drug discovery and development developing branded biosimilars, developing improved biologic drug delivery systems, and the next-generation manufacturing of high quality biologics in support of global expansion. “With four potential product launches in 2015 and a strong pipeline of innovative and biosimilar molecules, we are well positioned to deliver breakthrough medicines for patients and drive long-term growth,” said Bradway. Bradway affirmed Amgen’s operational strategy is on track to produce commercial products from its next-generation biomanufacturing facility in Singapore beginning in 2017. According to Amgen, “Next-generation biomanufacturing will enable dramatically increased bulk production capabilities versus conventional alternatives at one-quarter of the capital costs, one-third of the operating expense, and twice the speed.” Not too shabby and certainly highlighting the gains to be had deploying cGMP and QbD-based process. Amgen estimates these new capabilities will result in an estimated cost reduction of 60 percent or more per gram of protein. On page 17, Bioplan Associates’ Eric S. Langer discusses the risks and rewards associated with biosimilars. Speaking of reward, Scott Foraker, vice president and general manager, biosimilars, at Amgen, explained how biosimilars represent a compelling growth opportunity with the potential to deliver more than $3 billion in annual revenues. In addition to its six current monoclonal antibody programs, Amgen has initiated three additional programs noting that Amgen’s biosimilar infliximab and rituximab have advanced to the “clinical ready” phase. Amgen’s first biosimilar is expected to launch in 2017, followed by four others through 2019. That’s quite a strategy and a break out one at that — but at the heart of it is the investment and attention to operations and process excellence, and that’s a winning strategy the whole industry should recognize.